The front trans mount on your 99 is different though, isn't it? It's like the Park Ave ones where there is a rod that goes through a cylindrical mount vertically into the subframe, right? Yeah. I dont think it looks like that. Didnt you mention somethin about it saturday? it freaks you out, no? Yeah, I was like, "yours is different than mine!" But seriously, It is definitely not the same mount as my car has. Turbo Tim at ZZP is suggesting I go with 2 pucks instead of 3 to pull everything forward and give extra clearance for the rear header. I will get pics soon. That doesn't sound like a bad idea, however a whole inch on the front is going to be 2" in the rear. I think I might cut a puck in half so the distance isn't so drastic. What if I do 2 pucks plus some shims in between? What does your original front mount look like? B. the squashed mushroom on a stick. 。。Time to make some new mounts. Ok yeah you're good then with the vertical stack of hockey pucks up front. I was like the second person who tried running that kind of mount on a 98-down riv that doesn't have that kind of mount originally and it turned really bad since the subframe was not meant for it. I would maybe suggest what I did with the puck arrangement though and have a couple pucks above the engine bracket as well as below to have some dampening both ways (rocking up and down) in theory like the original mount allows for. With having pucks just underneath the bracket it's more like literally a solid mount while receiving positive torque from the drivetrain - loading. The pucks don't seem to allow for any movement but they do dampen a little which helps reduce shock load stresses on the fasteners and subframe structure I reckon. Charlie did you already buy a new rear? I found the one I had. I was going to do pucks between the trans and cradle and then Energy bushings above and below with some big thick washers on top and below the bushings. Wish you wouldve gotten to me sooner on that rear! Mine is in the mail and should be here tomorrow! Good job, Rock Auto. You sent me this one..　and not the '99 part. Not that I need it but still.. Hoping this is the correct rear trans mount for the '99. Do you guys just fill all cavities with window weld? Yes, It's really that easy. Make sure you wear gloves! If you get some on your hands, have fun getting it off you and anything you touch. You will be scrubbing your hands for awhile. Ask me how I know. Also, make sure you let it cure for at least four days. I don't think it "fully" cures for about three months, but it gets hard to the touch in about four days. How do you know, Daymon? Because I got some on my hands. It was one of those dumb teenage decisions that I make sometimes. I figured it couldn't be that bad, and didn't wear any gloves. I mean, were you filling a mount or what were you doing playing with 3M goo? I was filling a mount. This. I can't even explain how accurate this is. Get the long gloves that go up your arm unless you shave. I baked my mounts in the oven for like 8 hours at the lowest possible temp because I needed them same/next day. So the 99 is the black sheep, huh? Looks my rear and front mounts are not the same as you 98 and older dudes. Realistically, simply putting pucks in there is nothing more that a solid mount. You may as well axe the pucks and just put a steel sleeve. The original mount is made to flex upward, which is why they pull apart so often with some abuse. Anything other than that mount is just going to be pulling on the giant stud you use...no flex whatsoever, pucks or not. So, at that point, the pucks are merely just filling space. You'd have to figure out a way to make some sort of cushion that attaches between the bolt and the cradle on the bottom side if you want any sort of dampening. Im ok with the solid mount, using pucks or a boat roller for spacing. But I do agree there should be some kind of cushion between the cradle and the mount, top and bottom. I see this lacking from a lot of designs I am seeing. 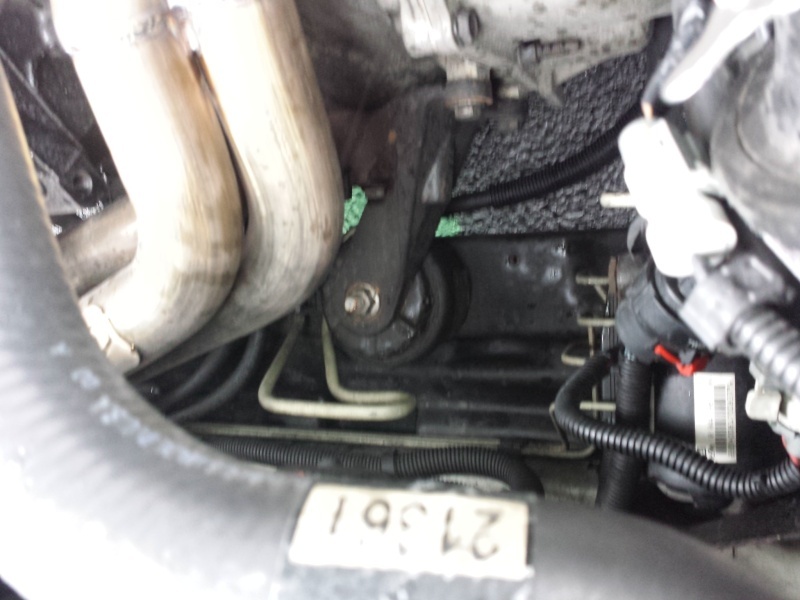 I am afraid sway bar bushings may be too small. I might cast my own 60A window weld bushings or get some Energy general purpose bushings. I want something fat and juicy on both sides to dampen the mount. only thing about the pucks is that they are like 80B or something rated. I want something a little softer at the ends against the metal. I am considering making some 3d printer molds and casting my own poly bushings. I know the front header is quite close to the top of the front trans mount so its going to be a tight fit, probably.